we’ve passed the solstice and the nights are getting shorter. vacation started at midwinter for me and we’ve spent the christmas out of town. 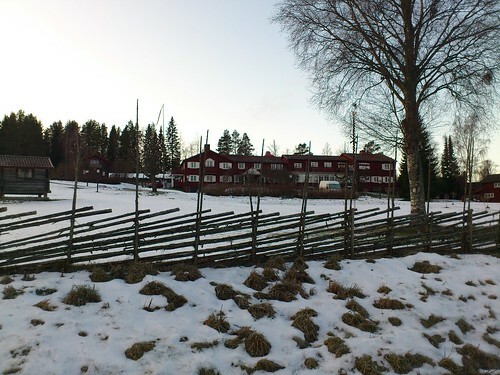 the serious lack of snow in stockholm was depressing, but unfortunately the weather was mild in tällberg also. there was still some snow when we arrived though. 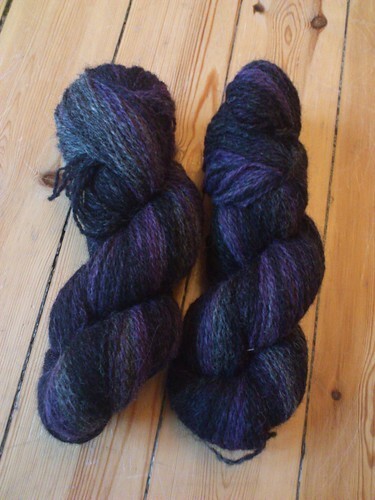 these will turn into a pair of socks for me eventually. purchased at ängsdesign. 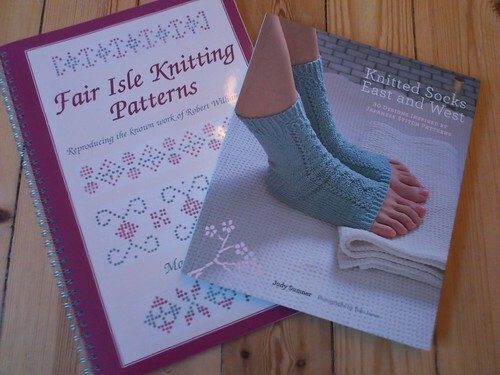 i received many lovely christmas presents, for instance a knitting book on sock knitting. the one with fair isle patterns was a pre-christmas present! both from stefan, of course. 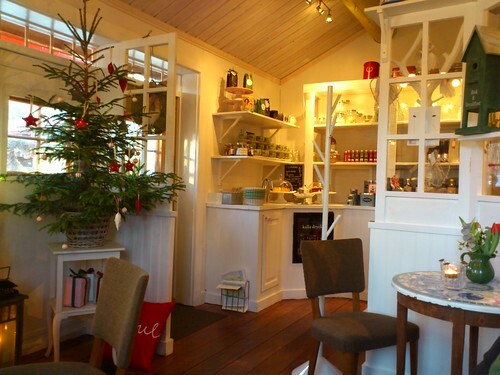 we found a lovely shop and café called tällbergs leva & bobutik. after a relaxing vacation with a lot of reading and knitting, we were supposed to take the train home, but the recent storm, dagmar, put a stop to that. we managed to get bus tickets instead. 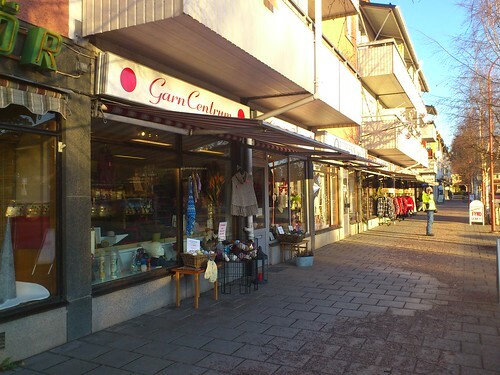 we had some spare time before departure from rättvik. naturally, i found a yarn shop! it’s new year’s eve tomorrow, i hope you all will have a lovely night and make sure that you do drink too much champagne – that’s what the new year celebration is all about isn’t it? i won’t though, champagne always make me really, really sick. just a glass or two will do. or perhaps three. Happy New Year and Happy Knitting in 2012! i’m really not a travel knitter. i sometimes bring knitting on my travels, but it usually stays in my bag the whole time. 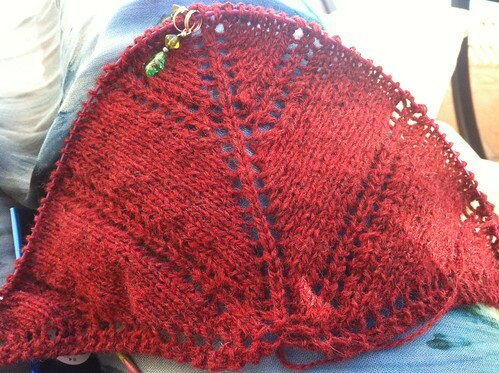 it’s not that i don’t want to knit while travelling, i normally just don’t have the time to knit. however, since this was our very first sun-and-swimming-in-the-ocean vacation togehter, i predicted that i might actually take some time between reading and eating and swimming to actually do some knitting. a ball of yarn, an easy pattern and some needles went into my carry on luggage. and i made the classic mistake. i forgot to remove my scissors from my littel tool bag and naturally airport security picked it up on their monitors… i felt incredibly stupid. but i probably wasn’t the first knitter to do this. at least, that’s what i kept telling myself. 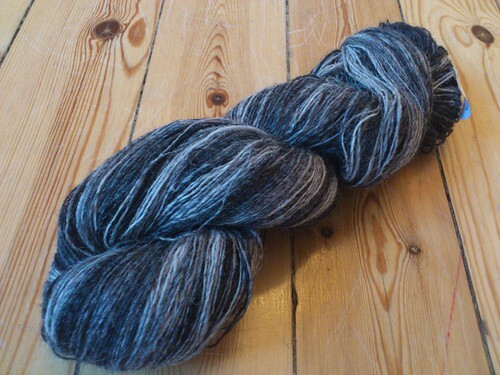 since we were spending this lazy vacation in greece, what could be more appropriate than knitting the icarus shawl! 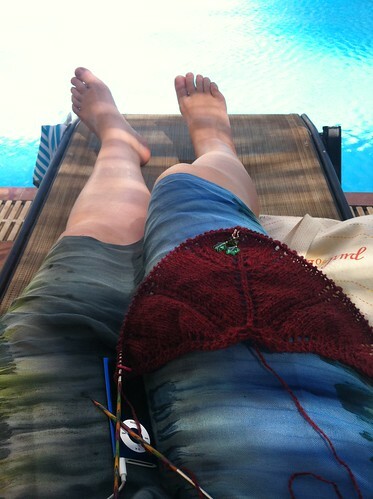 i cast on during the flight there, and did manage to knit quite a lot by the pool! in the shade. it’s a very simple pattern and i’m very fond of the yarn and colour, my only concern now is that i won’t have enough yarn. i’m making it smaller than intended, but there still might not be enough. i’ll continue knitting for a while, and we’ll see if i’ll have to make it even smaller or buy more yarn. we had a lovely time in greece, we had some of the best food i’ve ever had and we visited several lovely beaches and spent a lot of time in the water. the only negative thing i can say is that it was a little too hot for me. the next time we travel abroad we will proabably head for cooler climes… where one may wear wool.